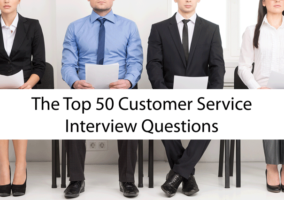 By popular request, here is a list of call centre interview questions, which will probe your job experience, organisational and motivational skills, as well as much more. This is not an invitation to ramble on. If the context isn’t clear, you need to know more about the question before giving an answer. Whichever direction your answer ultimately takes, be sure that it has some relevance to your professional endeavours. You should also refer to one or more of your key personal qualities, such as honesty, integrity, being a team player, or determination. Many interviewers will ask you to name your strengths and weaknesses. Typically, people find it easier to express their strengths, but struggle when it comes to identifying even one weakness. Part of the reason for this may be that they do not want to disclose a particular weakness, as this may result in them failing to get the job. For weaknesses you need to think of something which is really a strength but put it across as a weakness. It is also important to make it clear what you are doing to address that ‘weakness’. 4. What do you know about the centre/company/role? You are not required to be an expert on the organisation or role, but a genuine interest and basic understanding is expected. If you are working with a recruitment consultant then they should be able to provide you with extra details and assist with preparation. In addition, look for and use press releases, and corporate and social websites. Ring the call centre to see how they handle your call: do they offer ‘up-sell’, ‘cross-sell’? How was the service? Read the job description to prepare for this question; a few key facts or some knowledge show a genuine interest and commercial awareness. To answer this question you must have researched the company. Reply with the company’s attributes as you see them and how your qualities match them. Whilst more money, shorter hours or less of a commute are all potential factors for your next role, they are unlikely to make you the ‘stand out’ candidate of the day. Know what the company is looking for and the potential job available, and align this with your career to date. Highlight your relevant experience, goals and aspirations in line with the role to showcase why you are the best person for the job. This is an opportunity for you to show off your research on the role and company. Talk about the benefits the company has to offer and how they suit you at this point in your career. For example, if you are joining the company as a graduate, discuss how you plan to utilise their highly structured training scheme. Also comment on the company’s reputation and try to make reference to a recent success you have seen on its website. 6. What is your greatest success and achievement to date? Here your interviewer wants to see that you will bring something to their company and not just fade into the background. Whilst this question does open the floor for you to recite how you once doubled your sales figures, employers are equally interested in hearing about how you have developed and maintained a strong professional network, or how you pride yourself on your reputation for being reliable and hard working. Whatever you end up talking about, try to keep it short. You don’t want your ego to get in the way of you being offered the job. 7. What was your reason for leaving? Wherever possible, be positive, even if your role was short term or didn’t quite work out as expected, as it will have added extra experience or skills to your career history. Although you are now looking to move on, acknowledge what you learned and what was on offer at the time. Demonstrate good reasons for the decisions you made and show that you understood what was to be gained, or acknowledge what you have learned from your past employer. 8. Tell me about a difficult obstacle you had to overcome recently at work? How did you overcome this? Here your interviewer wants proof that you will tackle problems head on and not just bury your head in the sand. A strong answer will clearly demonstrate a problem, an action and a solution. Problem:When I was first promoted to team leader, I consistently struggled to ensure that my team achieved their sales targets on a Friday. Action: I sought the advice of more experienced team leaders to find out how they motivated their teams through the Friday slog. Solution:Acting on the advice of the other team leaders, I implemented a combination of incentives over the next few weeks and successfully boosted my team’s sales figures. You must research the organisation fully on the web and through any other available sources of information, i.e. latest company information, performance reports, etc. You must demonstrate (for a sales position) that you are motivated by money and driving performance – with a keen focus on figures. You need to demonstrate that you have drive and are able to think outside the box when there are problems, whilst still following regulations and company procedures. You need to demonstrate that you are brave enough to take risks but not afraid to run them by your manager first. You must be able to demonstrate/back up examples of your experience and successes to date. Do talk about what you have done within your team. Do not always use the words “the company” or “we”. Instead try to explain examples and situations as ‘I’. Do acknowledge mistakes if asked, but do put a spin on it that shows you came round and resolved the issue successfully. Use the above examples to make sure you give well thought-out answers and examples to questions. 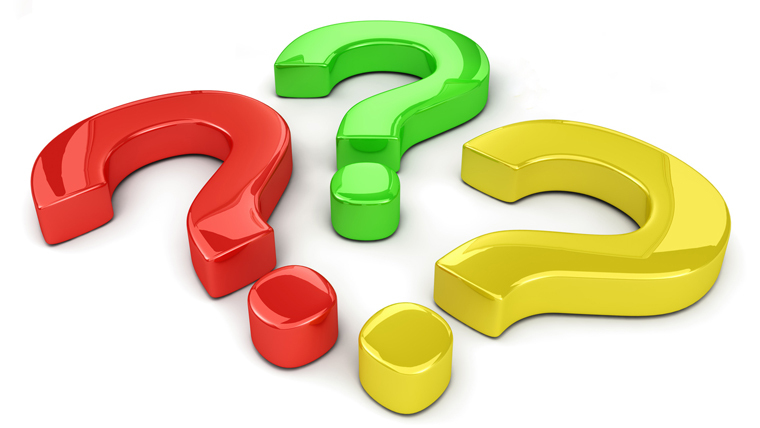 Make sure you have questions prepared for them (it’s likely that you will be asked if you have any questions). At this level, organisations are looking to recruit the leadership team of the future. So bear in mind that they are looking for career-minded individuals who will progress up the ladder as quickly as possible. All interviews will be different both in structure and the approach taken by the interviewer, but I hope the following suggestions may assist in the generic preparation for forthcoming interviews. It is important to note that whilst research and preparation is critical, your adaptability to their questions, and being relaxed and confident in your responses must also come through clearly. Ensure you do your research. Undertake a number of Google searches on the organisation, look over their website and try to obtain as many independent articles on the company you can gather from the media or trade press. 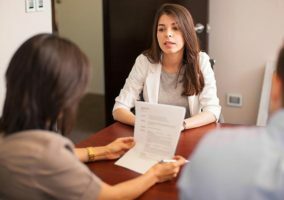 Look to understand more about your interviewer and their background. If you are going through an agency ask them what they know of the person. How do you deal with being asked to sell a company product which you done believe in? I would throw this in straight after a complicated answer they’d just given in order to see how they think quickly under pressure and if they can keep their composure. I had one guy tell me he didn’t do jokes but usually finds humour in situations. I respected the answer. The question really puts the cat among the pigeons. I actually hired the guy. These tips were truly helpful and one of the most helpful I have come across. I have learnt that positiveness is infectious so pracitce this virtue in the call centre as it will energies you instead of weighing you down and it will soften the difficult customers. Which will be a win, win situation for customer and the call centre agent. How you will ensure you deliver outstanding customer service? the potential personal and physical challenges you may face and how you would plan to manage these? I was like talking to myself and successfully ansered all of these! I think im ready for my interview tomorrow. Thanks for the exercise quesitons! I could answer no. 25 – I accounted for electricity bills, software and IT costs, servicing expenses and the like, and showed how all these could be reduced. The company’s response? “Not relevant to your department”, nothing was done, and they closed us down anyway. I was once asked in interview what was the last film I saw. Don’t knoow what they were looking for. I was like talking to myself and successfully answered all of these! I think im ready for my interview tomorrow. Thanks for the exercise questions! very useful information that we can use to get success! If one of your largest accounts just told you that they are closing down three of their largest stores, what would you do to ensure you still met the yearly sales target? How have you advocated for customers when it was apparent that their issues could be prevented by improving how a product or service was designed?